11/03/2016 - Happy 90th Birthday to the President Valdas Adamkus! 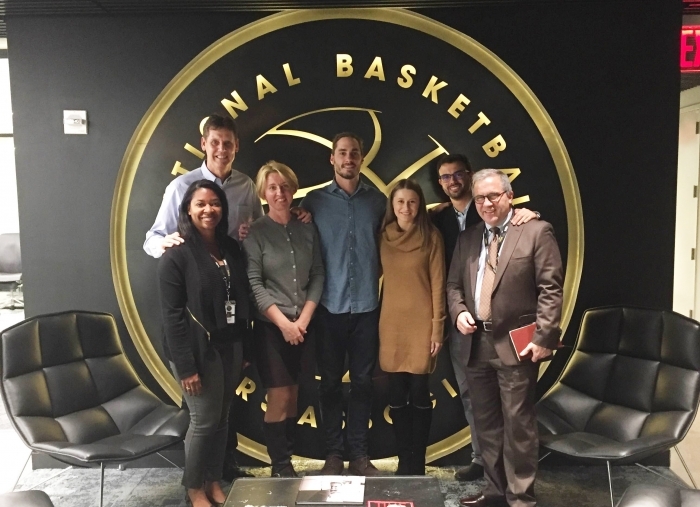 10/24/2016 - Fundraiser at Lithuanian Heritage School "Sauletas Krantas"
On November 9th, Peter Kazickas together with his uncle John Kazickas, Neila Baumiliene and Aiste Furajevaite visited the NBA Players Association headquarters to discuss Basketball Power program. 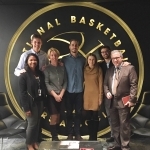 They met with NBPA CAO, David Lafleur and Director of international relations and marketing, Matteo Zuretti. 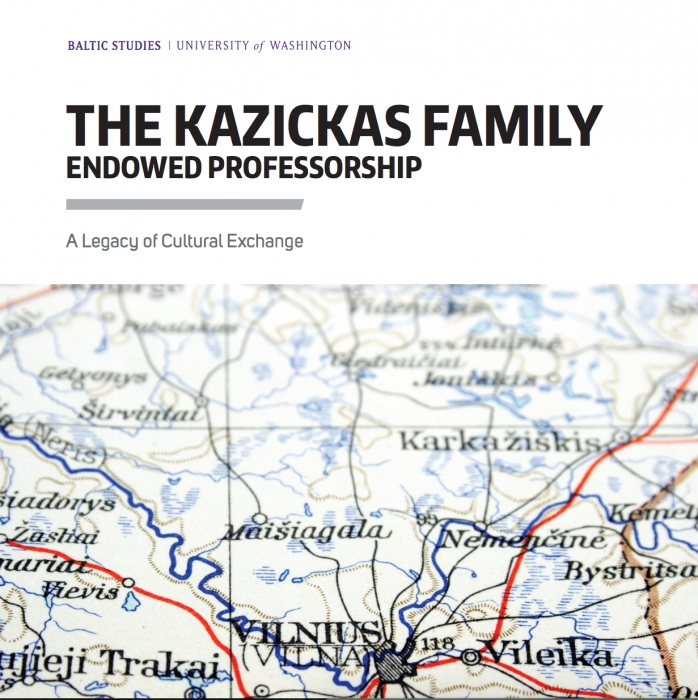 The Kazickas Family endowed professorship at the University of Washington Baltic Studies Program has been a productive contribution to the Legacy of Cultural Exchange. 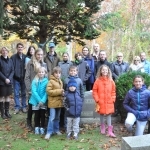 "Your donation a decade ago transformed the Program," shares Andrew Nestingen, Chair of the Department of Scandinavian Studies at UW in his letter to Jurate Kazickas. 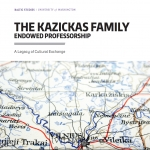 "The Kazickas Family Professorship holds central importance among the ten Baltic Studies endowments." 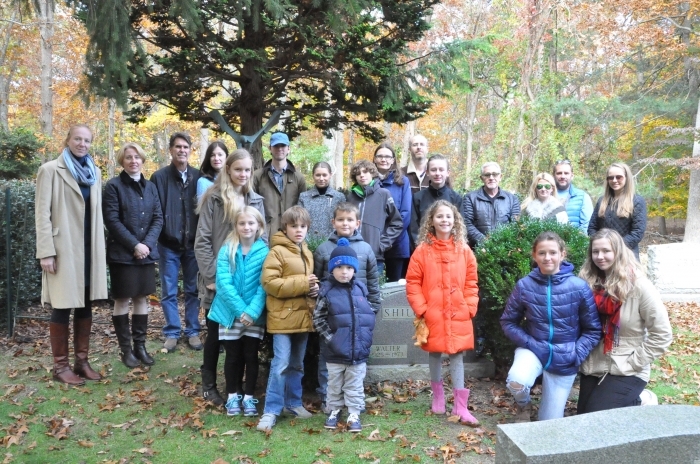 On Sunday after the All Souls Day, Michael, Beverly and Jack Kazickas with a group of Alexandra Kazickas Lithuanian school children and parents visited the grave site of dr. Joseph Kazickas, his wife Alexandra and their son Alexander at the East Hampton cemetery. 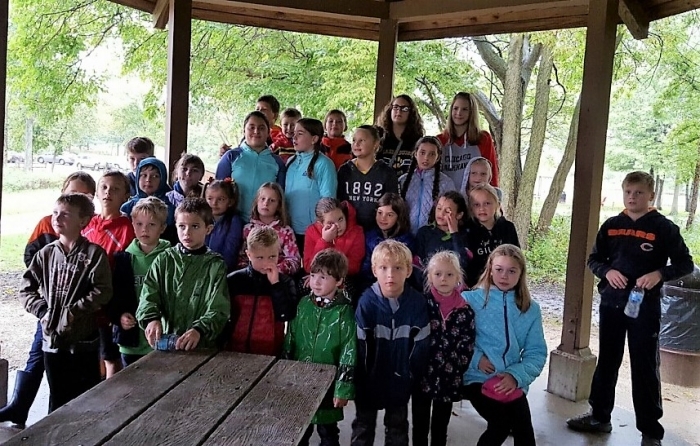 While celebrating "Gediminas" Lithuanian School's 14th birthday, schools family organized a day of fun and a KFF Matching Grant fundraiser at the Half Day Forest Preserve in Vernon Hills, IL. 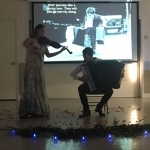 Alexandra Kazickas Grant Program has been supporting Lithuanian Heritage Schools in the US since 2012. In 2015 KFF added Matching Grant (up to $1,000) program with a goal to motivate schools to organize fund-raising events in order to support their school work. 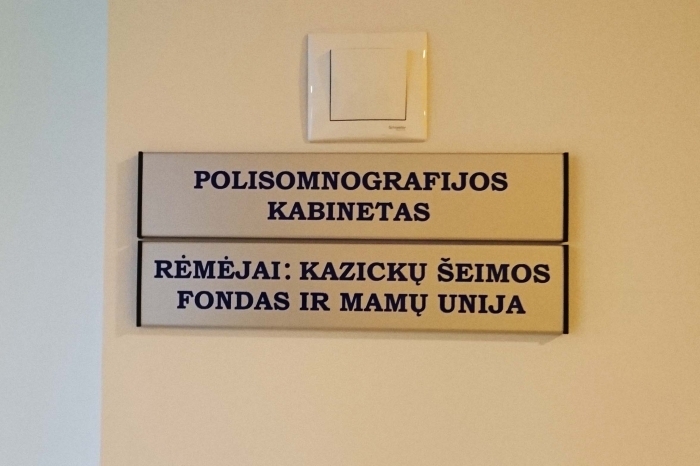 The head of the Center of Chronic Respiratory Diseases in Children at Kaunas Pediatric Clinic, Dr. Valdone Miseviciene shares her thought about the conference "Chronic Respiratory Diseases in Children: From Theory to Clinical Practice" and is excited about the new polysomnography lab that had been acquired with KFF help and had already been successfully used by children in need. Happy 90th Birthday to the President Valdas Adamkus! 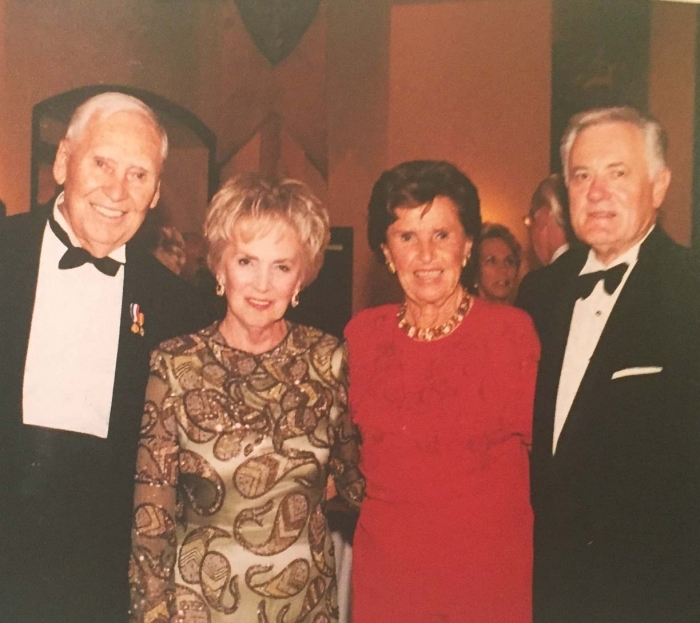 The Kazickas family and friends send their best wishes to our dearest President Valdas Adamkus on his 90th birthday! 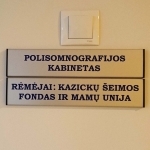 As Jurate Kazickas shared in her speech during the opening of the Presidential Valdas Adamkus Library - Museum in Kaunas: "To many he is not just a President, but a role model, a man of great intellect, integrity and honesty. A skilled politician and a man who always fought for the greater good of the people. A man of peace". Dr. V. Kudirka Lithuanian School held fund-raising event in order to receive the Kazickas Family Foundation Matching Grant. 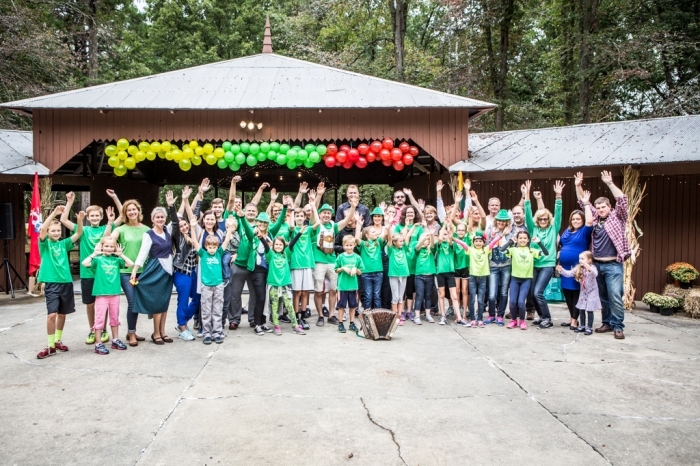 KFF A. Kazickas Grant Program supports Lithuanian Heritage Schools in the US. Matching Grant (up to $1,000) motivates schools to organize fund-raising events in order to support their school work. 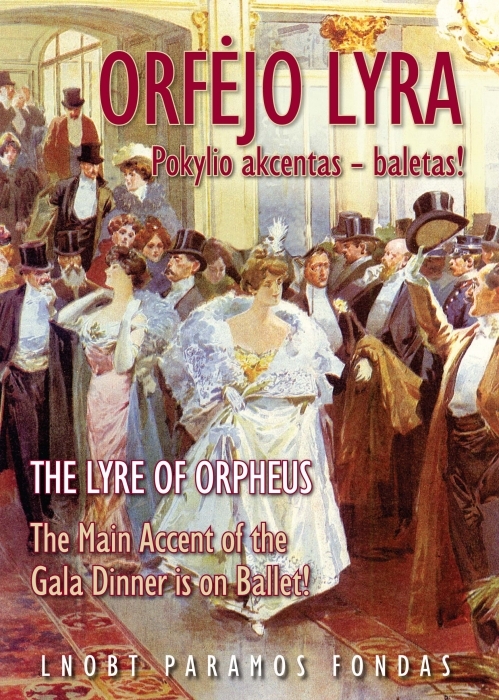 The Lithuanian National Opera and Ballet Theatre Support Foundation, supported by KFF, cordially invites you to its traditional annual Opera Ball that will take place November 12th, 6:30pm at "J9" "Vaidilos" Theatre. 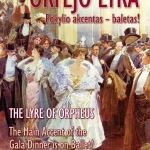 The main accent of the Gala Dinner is on Ballet! Fundraiser at Lithuanian Heritage School "Sauletas Krantas"
Lithuanian Heritage School in Florida "Sauletas Krantas" thanks everyone who gathered to school's fundraiser on October 8th. $440 were raised for school during the event. 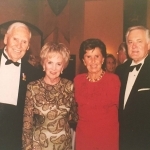 "Sauletas Krantas" expresses it's deep grattitute to the Kazickas Family Foundation for a matching grant and a continuous financial support throughout the years. Seven high school students from Lithuania began their studies at the various US independent schools thanks to the ASSIST program. Kazickas Family Foundation works with ASSIST and invests in the Lithuania's future by supporting three students every year.